There are currently 124,597 users on this website. 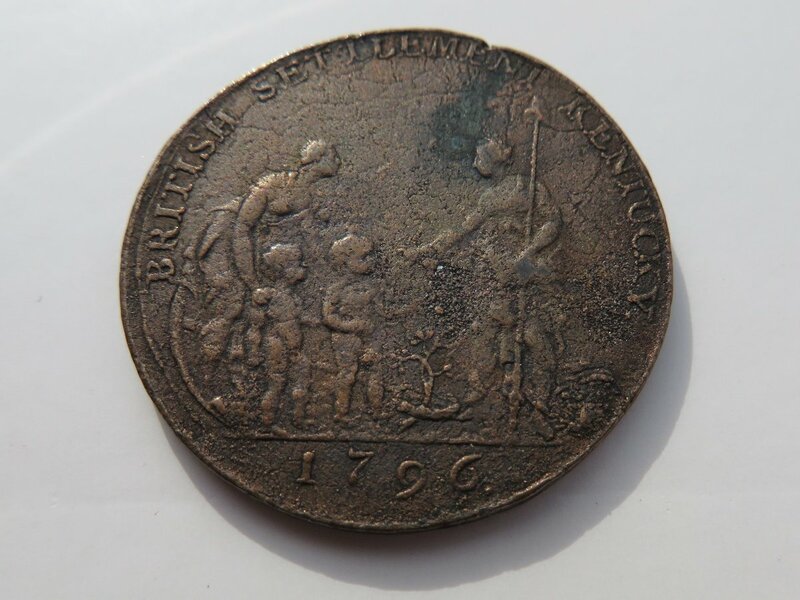 1796 Copper Myddelton Token Authenticity? Well, my area is ancient Roman coinage, so I'm out of my element. I picked this up with some other coinage (large cents, Indian head pennies etc..)from a yard sale. Well, I investigated and if this thing is real, I may have hit the jackpot. I'm not that lucky though, so I seriously doubt it. Added: I should point out that I'm pretty far out of my area of collecting with this piece and look forward to others weighing in with more knowledge. A whole gram off hmmmm not looking good. I'm going to search for replicas. If this is one, I would suspect it's old. 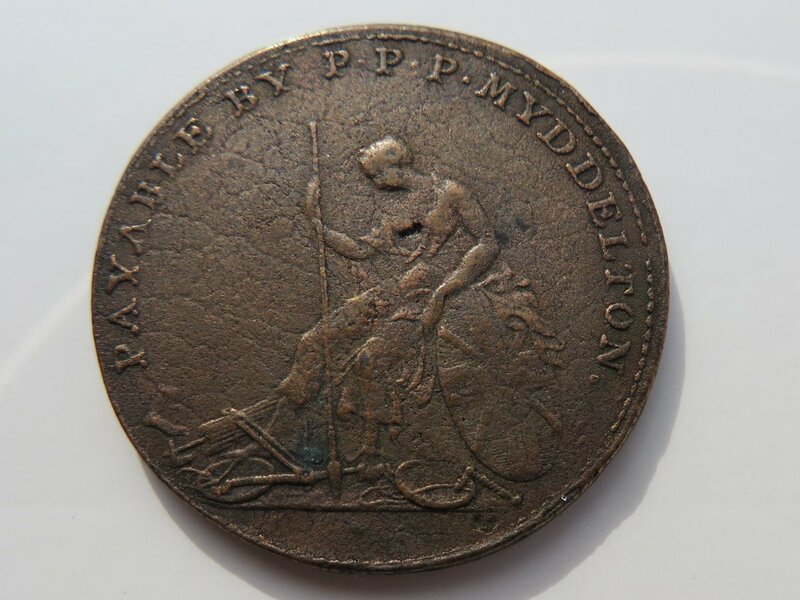 There are many replicas out there of this particular token (both the copper and silver "proof") but I think this may be an older electrotype based on the edge and surfaces, although a clear shot of the edge would be most helpful. There is also a possibility that this is a Heaton restrike (ca. 1850s) using old dies from Soho but I can't find any evidence that this token was restruck by Heaton. The texture and surfaces are off compared to modern available replicas, most of which are made from spark-erosion transfer dies or cast copies of existing pieces. Of course, someone could have taken a modern replica and "aged" it to make it look much older. ...someone could have taken a modern replica and "aged" it to make it look much older. This may be the case, I found a replica that may be a match. "Copy" was also somehow removed.